The two boys have now been charged with a fine of $300 (R3800). The internet has succeeded once again in bringing lawbreakers to book. 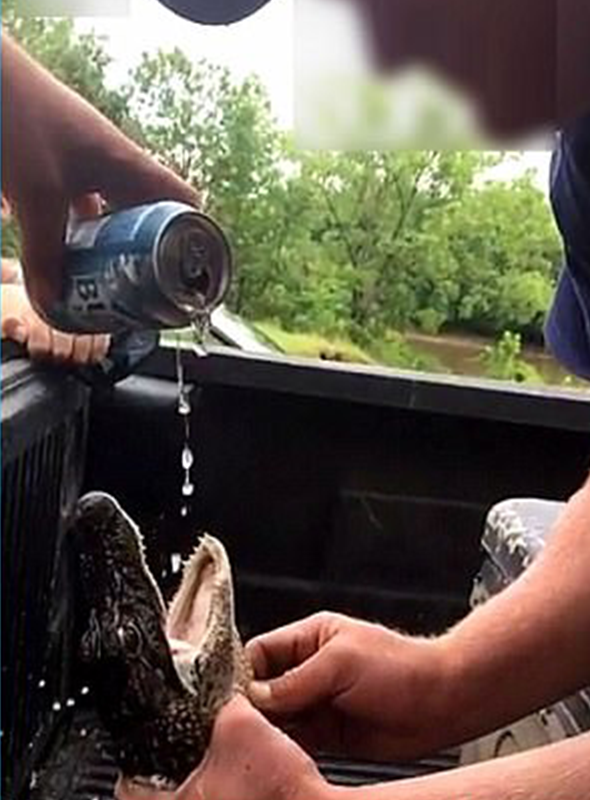 A video of two men pouring beer down a baby alligator's throat went viral on SnapChat and Facebook after it was posted by the the culprits themselves. PHOTO: South Carolina Department of Natural Resources. 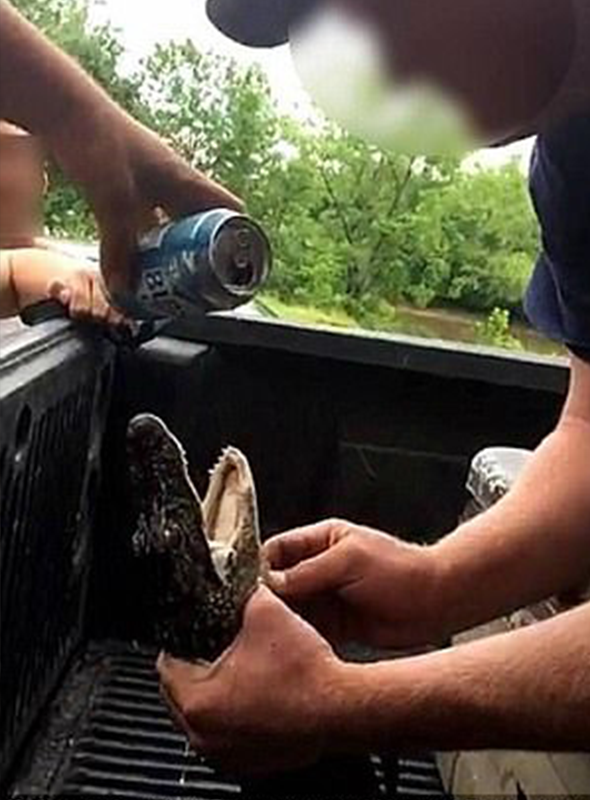 The two men, Joseph Andrew Floyd (20) and Zachary Lloyd Brown (21) from South Carolina in the US, were allegedly driving when they spotted the baby alligator on the road. They decided to catch it and put it on the back of their truck. While there, they proceeded to open the poor little guy's mouth and pour beer down his throat -- squeezing its neck in the process. They documented this on Snapchat and shared pictures on Facebook. 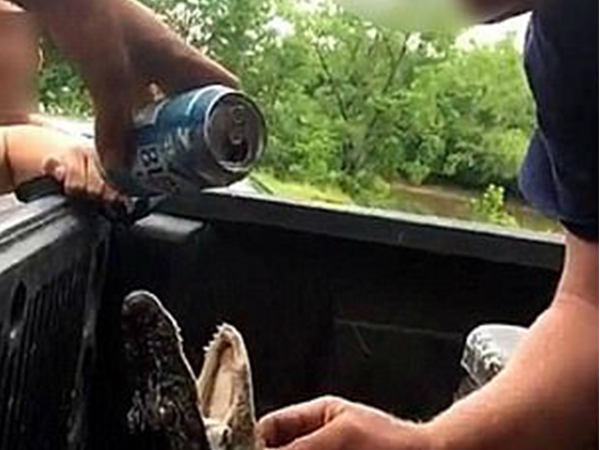 According to Floyd, they then released the alligator and watched it swim away in a nearby pond. Users immediately began complaining about the clips and pictures and they notified police, who launched an investigation into the horrifying incident. The two have now been charged with harassing wildlife and slapped with a fine of $300 (R3 800). 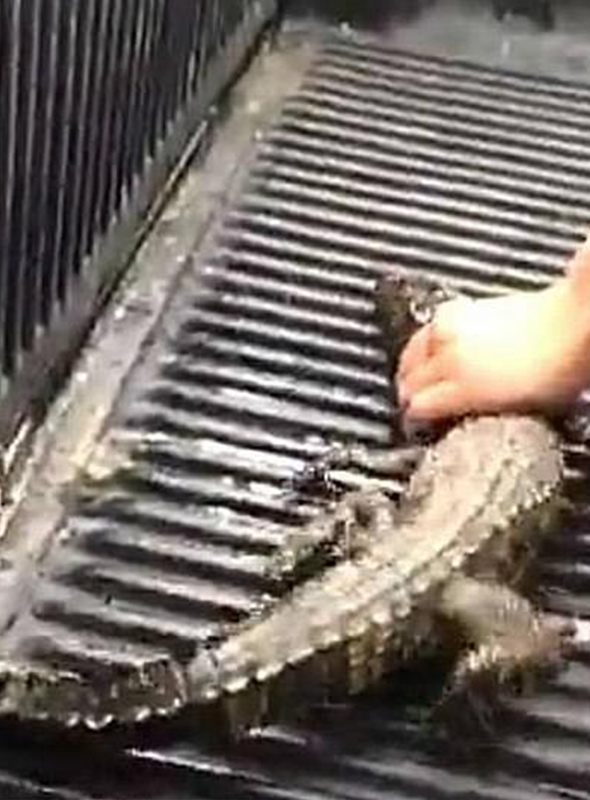 Kyndel McConchie of the South Carolina Department of Natural Resources told the Charlotte Observer, "The images are more horrifying because the people involved are seen squeezing the gator's throat." "The photos were uploaded onto Snapchat by one of the kids doing harm to the animal, people saw it, got angry and they did screen shots of the images -- that's how it came to our attention."